This is a first-person shooter in which you have to shoot hordes of monsters and mutants. They all live in the Moscow metro, according to the plot of the game. 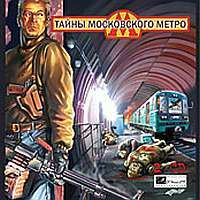 The student Basil, miraculously makes his way to one of the secret branches of the Moscow subway, where he meets these mutants which are the consequences of nuclear contamination that covered the city in 2006. There are several types of weapons, different types of monsters. Collecting ten parts of a map will show you the secret branch. It leads to a hidden city deep underground which was built a few decades ago, just in case the nuclear threat. It is where they possibly managed to save the most important people of the nation: the politicians, the military and scientists. Only there can you survive, because there was talk of enough supplies there for a dozen years for thousands of people. And if only a few managed to survive then there's even more available.